All images in this gallery are available as fine art prints and can also be licensed for a variety of uses. 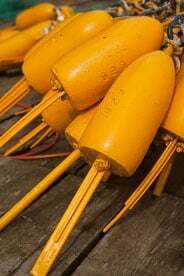 See the Prints and Licensing pages for more information. 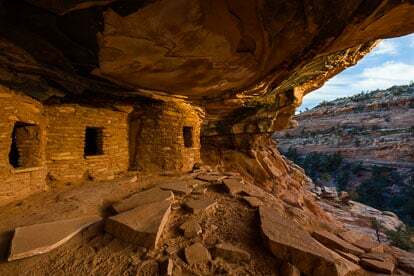 Ancient Overlook - Late day light shines on the Fallen Roof Ruin overlooking the valley below in Cedar Mesa in southeastern Utah. House on Fire Ruin Panorama - Panoramic view of the House on Fire Ruin perched along a wall in the South Fork of Mule Canyon in southeastern Utah. 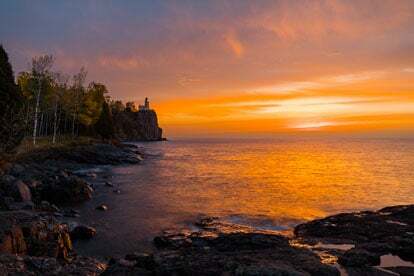 Golden View - The sun begins to break through a bank of clouds and casts a golden glow on Split Rock Lighthouse perched along the rocky coast of Lake Superior in northern Minnesota. 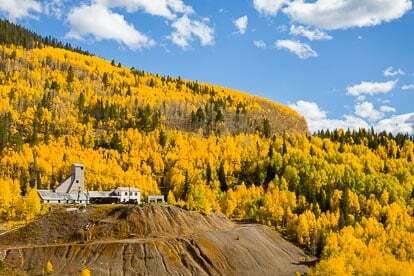 Gold in Them Hills - The abandoned ore processing facility in the ghost town of Gilman is surrounded by golden aspen trees at the peak of autumn color in central Colorado. 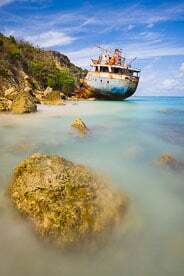 Seen Better Days - The rusting remains of a grounded ship rests along the shore surrounded by the colorful waters of Road Bay in Anguilla, BWI. 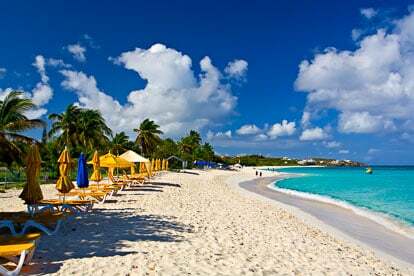 The Beach Awaits - An inviting scene on the beach at Lower Shoal Bay in Anguilla, BWI. 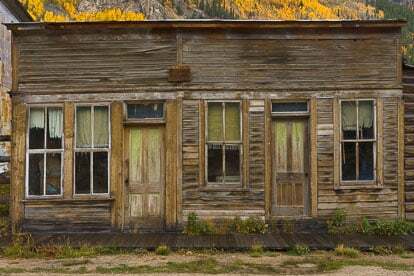 Shades of Rust - The skies begin to clear over a dampened old rusty building in the ghost town of St. Elmo in central Colorado. 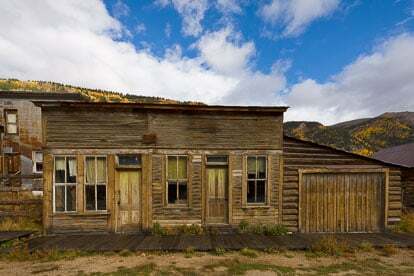 Cash Williams Building after Autumn Rain Shower #1 - The skies begin to clear over a dampened old building in the ghost town of St. Elmo in central Colorado. 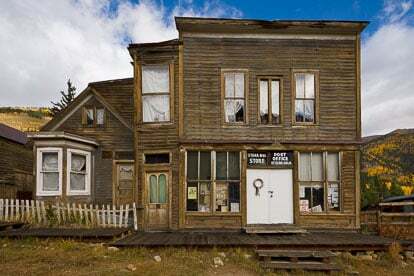 Stark Bros. Store after Autumn Rain Shower - The skies begin to clear over a dampened old Stark Bros. Store in the ghost town of St. Elmo in central Colorado. 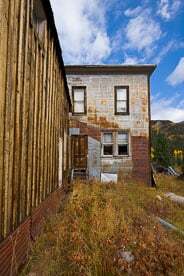 Cash Williams Building after Autumn Rain Shower #2 - A dampened old building in the ghost town of St. Elmo in central Colorado. 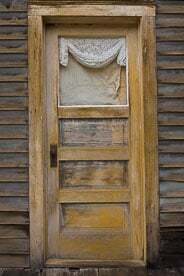 Weathered Door - A weathered door in the ghost town of St. Elmo in central Colorado. 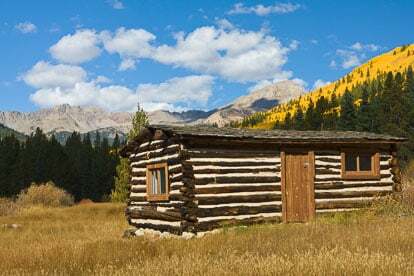 Winfield Cabin on Fall Day - A cabin in the ghost town of Winfield, Colorado with fall color and the Sawatch Mountains in the distance. 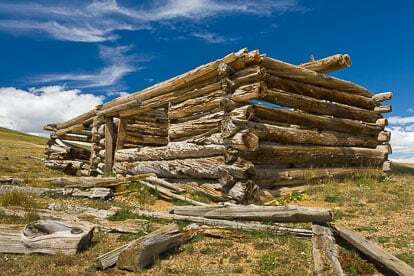 Old Log Home #2 - An decrepit old log home sits high above Granite, Colorado. Mt. 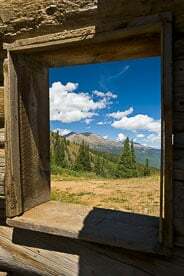 Elbert Framed - Mt. 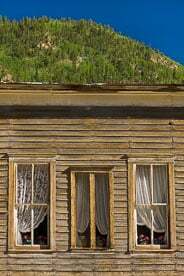 Elbert and Mount Massive are visible through a window in an old mining building high above Granite, Colorado. 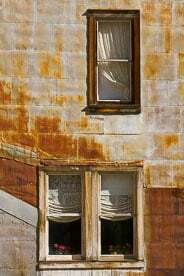 Windows and Rust - Winodws on the side of a rusty building in the ghost town of St. Elmo in central Colorado. 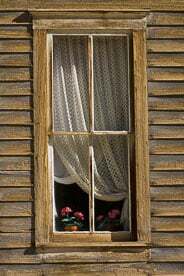 Window with Faded Flowers #1 - A weathered window decorated with faded artificial flowers in the ghost town of St. Elmo in central Colorado. 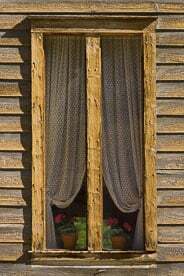 Window with Faded Flowers #2 - A weathered window decorated with faded artificial flowers in the ghost town of St. Elmo in central Colorado. 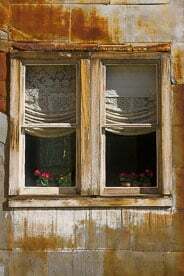 Windows with Faded Flowers #1 - Weathered windows decorated with faded artificial flowers in the ghost town of St. Elmo in central Colorado. 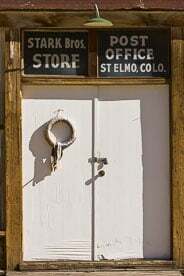 - A weathered door in the ghost town of St. Elmo in central Colorado. 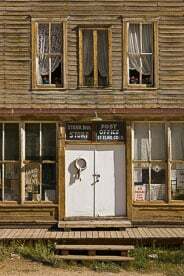 Stark Bros. Store - The front of the old weathered Stark Bros. Store in the ghost town of St. Elmo in central Colorado. 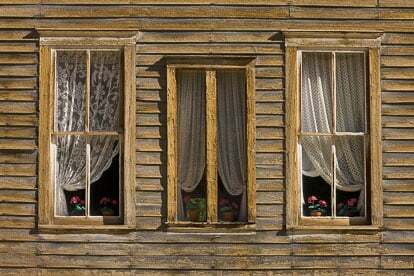 Windows with Faded Flowers #2 - Weathered windows decorated with faded artificial flowers in the ghost town of St. Elmo in central Colorado. 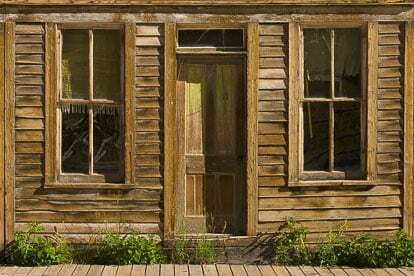 Weathered Building - The front of a weathered old building in the ghost town of St. Elmo in central Colorado. 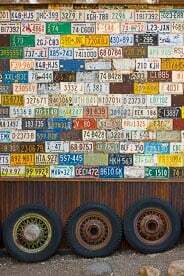 Automotive History - Old license plates, tires, and wheels on the side of an building in the ghost town of St. Elmo in central Colorado. 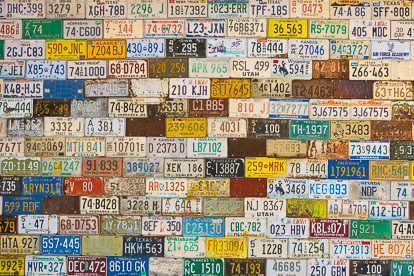 License Plates - Old license plates cover a wall of an building in the ghost town of St. Elmo in central Colorado. 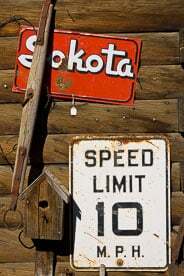 A Bit of History - Antiques on the side of a building in the ghost town of St. Elmo in central Colorado. 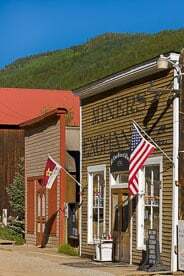 St. Elmo General Store with Flags - Flags are hung in front of the old general store in the ghost town of St. Elmo in central Colorado. 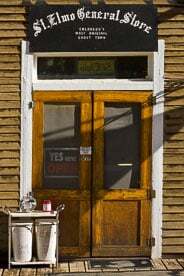 St. Elmo General Store - The weathered storefront of the general store in the ghost town of St. Elmo in central Colorado. 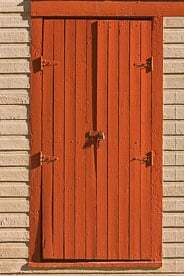 Weathered Red Shutters - A bright red shuttered window in the ghost town of St. Elmo in central Colorado. 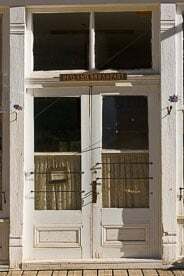 St. Elmo Bed and Breakfast - The weathered front doors of the old bed and breakfast in the ghost town of St. Elmo in central Colorado. 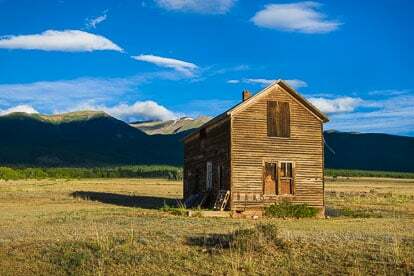 This Old House - A weathered old house illuminated by early morning light stands out against shadowed mountain peaks outside of Buena Vista, Colorado. 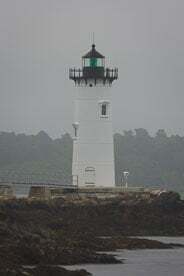 Fort Constitution Light #2 - The Fort Constitution Light stands along the shore of the Piscataqua River in Portsmouth, Maine. 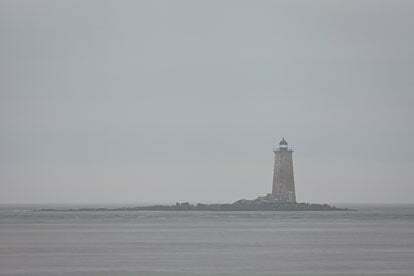 Whaleback Light - Whaleback Light is surrounded by morning fog far out in the port, as seen from Portsmouth, Maine. 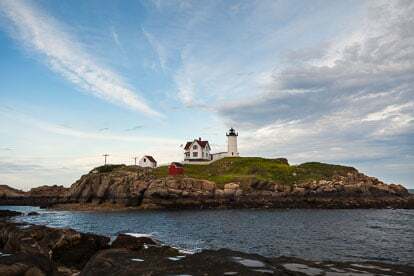 Fort Constitution Light #1 - The Fort Constitution Light stands along the shore of the Piscataqua River in Portsmouth, Maine. 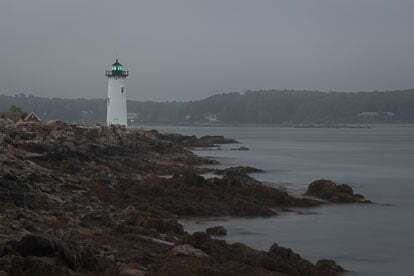 Storm Clouds and Cape Neddick Light - Late day storm clouds add a dramatic touch to the view of Cape Neddick Light on its island in York, Maine. 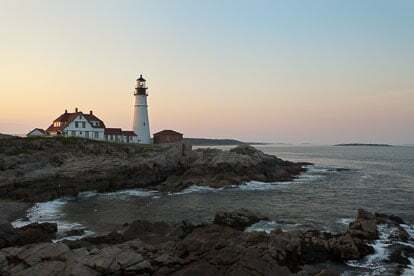 Portland Head Light Sunset - The last light of the day illuminates Portland Head Light outside of Cape Elizabeth, Maine. 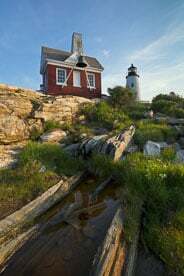 Pemaquid Point Light and Bellhouse - The bellhouse at Pemaquid Point Light is reflected in a pool in northeast Maine. 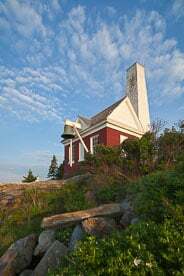 Pemaquid Point Light Bellhouse - The bellhouse at Pemaquid Point Light in northeast Maine. 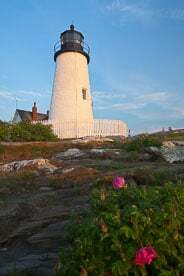 Flowers and Pemaquid Point Light - Pink flowers grow on the rocky hillside in front of Pemaquid Point Light in northeast Maine. 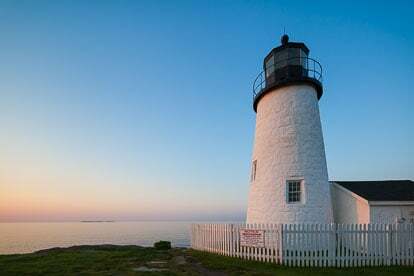 Sunrise Light on Pemaquid Point Light - Sunrise bathes Pemaquid Point Light with warm colors in northeast Maine. 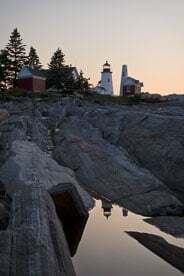 Sunrise at Pemaquid Point Light - Vertical - A pool in the rocky shore reflects the Pemaquid Point Light at sunrise in northeast Maine. 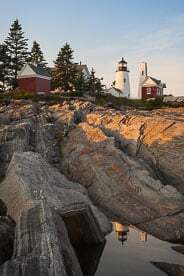 Sunrise at Pemaquid Point Light - Horizontal - A pool in the rocky shore reflects the Pemaquid Point Light at sunrise in northeast Maine. 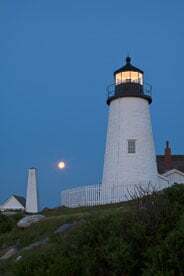 Full Moon at Pemaquid Point Light - The full moon is seen setting between the bellhouse and Pemaquid Point Light in northeast Maine. 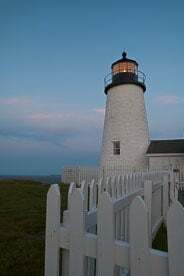 Dusk at Pemaquid Point Light - Pemaquid Point Light is lit by the last light of the day in northeast Maine. 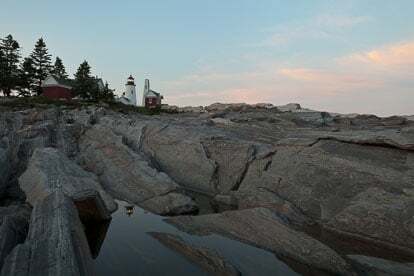 Sunset at Pemaquid Point Light - A pool in the rocky shore reflects the Pemaquid Point Light at sunset in northeast Maine. 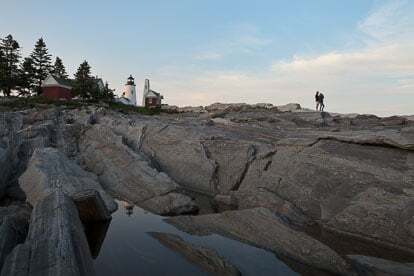 Watching the Sunset at Pemaquid Point Light - A couple watches the sun set on the rocky shore in front of Pemaquid Point Light in northeast Maine. 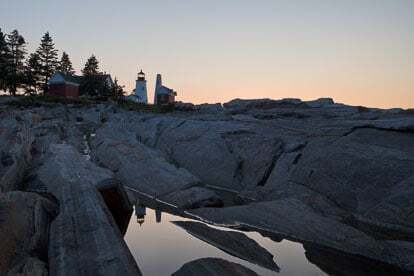 Pemaquid Point Light Reflection - Late day sun reflects the Pemaquid Point Light in a pool on the rocky shore in northeast Maine. 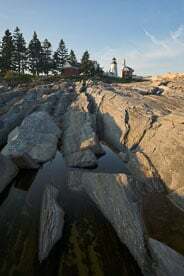 On the Rocks - Pemaquid Point Light - The Pemaquid Point Light sits above a rocky shoreline in northeast Maine. 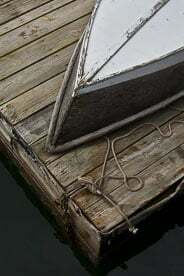 On the Dock - An overturned boat sits on a dock at Port Clyde, Maine. 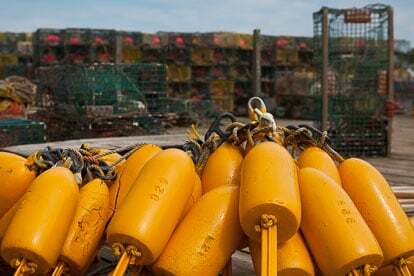 Tools of the Lobster Trade - Bright yellow lobster bouys and stacks of traps on a dock in Port Clyde, Maine. 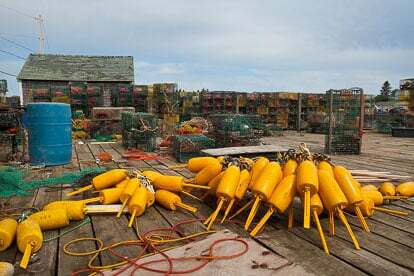 Lobster Dock - Bright yellow lobster bouys and stacks of traps on a dock in Port Clyde, Maine. 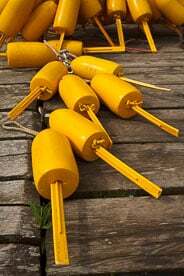 Lobster Buoys on Dock - Bright yellow lobster bouys on a dock in Port Clyde, Maine. 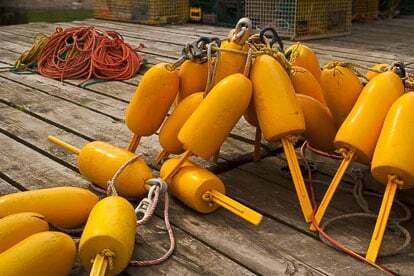 Lobster Buoys #1 - Bright yellow lobster bouys on a dock in Port Clyde, Maine. 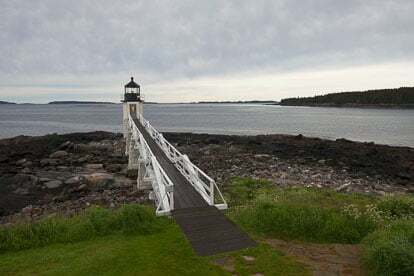 Marshall Point Light #4 - A long walkway leads out to the Marshall Point Light outside of Port Clyde, Maine. 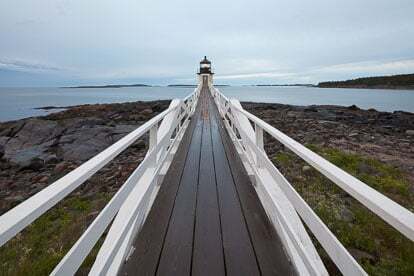 On the Point - Marshall Point Light sits on the point at the end of a long walkway outside of Port Clyde, Maine. 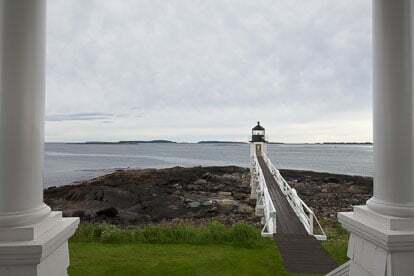 Marshall Point Light from Keeper's Porch - Marshall Point Light is seen from the porch of the lighthouse keeper's house outside of Port Clyde, Maine. 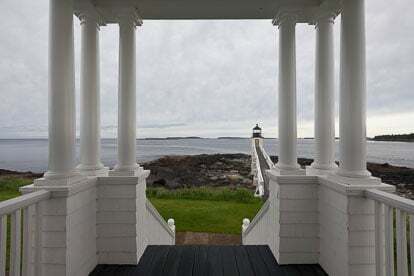 Marshall Point Light Framed - Marshall Point Light is seen from the porch of the lighthouse keeper's house outside of Port Clyde, Maine. 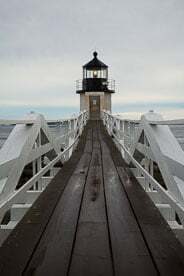 Marshall Point Light #3 - Marshall Point Light sits at the end of a walkway outside of Port Clyde, Maine. 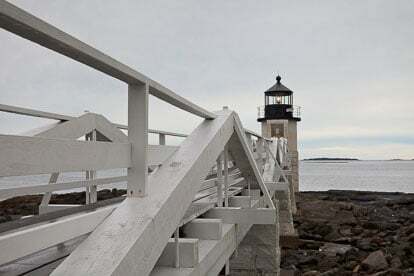 Marshall Point Light #2 - Marshall Point Light sits at the end of a walkway outside of Port Clyde, Maine. 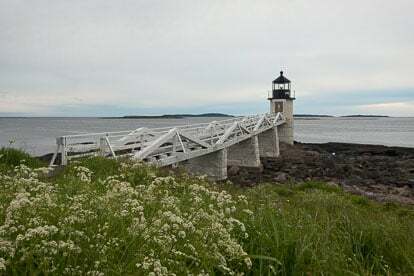 Marshall Point Light and White Flowers - Marshall Point Light is seen behind spring flowers outside of Port Clyde, Maine. 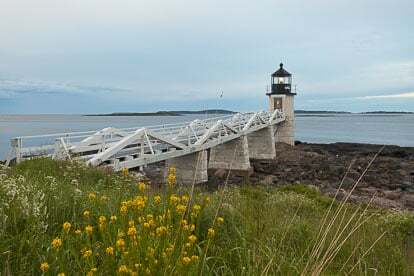 Marshall Point Light and Yellow Flowers - Marshall Point Light is seen behind spring flowers outside of Port Clyde, Maine. 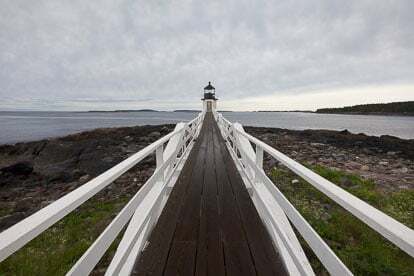 Marshall Point Light #1 - A long walkway leads out to the Marshall Point Light outside of Port Clyde, Maine. 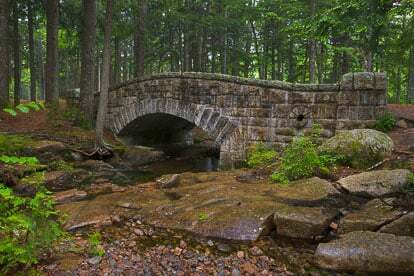 Hadlock Bridge - The Hadlock Bridge is nestled in the green forest in Acadia National Park, Maine. 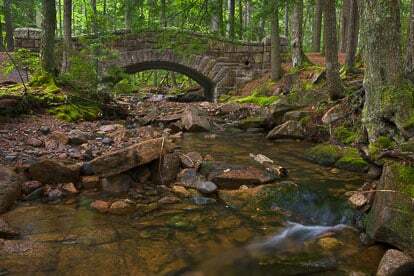 Hadlock Brook and Bridge - The gentle flow of Hadlock Brook flows under the Hadlock Bridge in Acadia National Park, Maine. 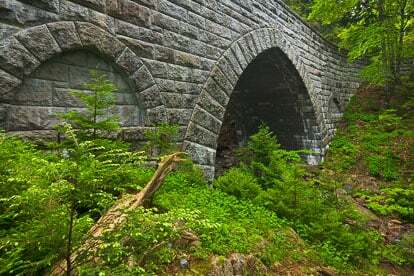 Hemlock Bridge - Spring foliage surrounds the the interesting arches of the Hemlock Bridge in Acadia National Park, Maine. 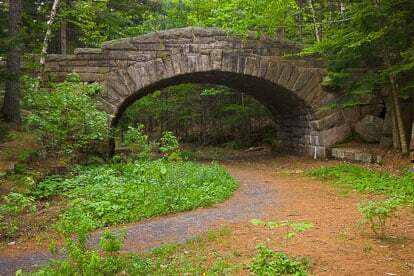 Carriage Road over Waterfall Bridge - A carriage road curves its way over the ornate Waterfall Bridge in Acadia National Park, Maine. 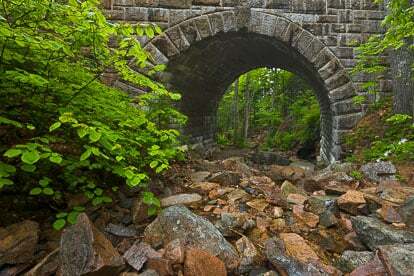 Waterfall Bridge Portal - A streambed passes through a portal in the Waterfall Bridge in Acadia National Park, Maine. 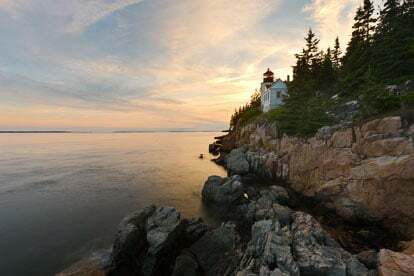 Sunset at Bass Harbor Head Light - The setting sun turrns the clouds pastel colors behind Bass Harbor Head Light in Acadia National Park, Maine. 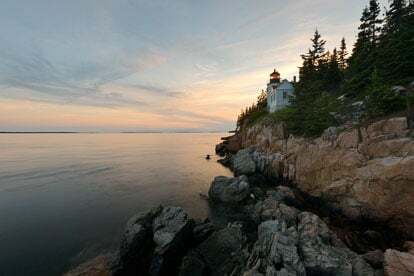 Sunset at Bass Harbor Head Light - The setting sun turns the clouds pastel colors behind Bass Harbor Head Light in Acadia National Park, Maine. 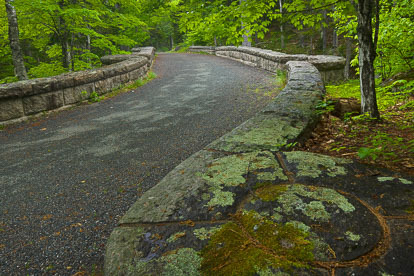 Bubble Pond Bridge - A walkway passes under the Bubble Pond Bridge in Acadia National Park, Maine. 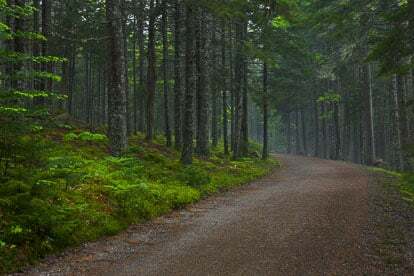 Acadia Carriage Road #2 - A carriage road curves through the misty forest in Acadia National Park, Maine. 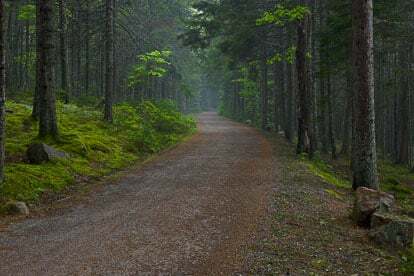 Acadia Carriage Road #1 - A carriage road curves through the misty forest in Acadia National Park, Maine. 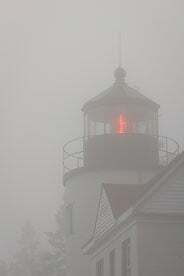 Bass Head Harbor Light in Fog - Vertical #3 - Shortly before sunset, coastal fog surrounds the Bass Harbor Head Light in Acadia National Park in Maine. 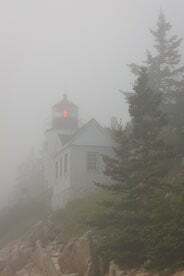 Bass Head Harbor Light in Fog - Vertical #2 - Shortly before sunset, coastal fog surrounds the Bass Harbor Head Light in Acadia National Park in Maine. 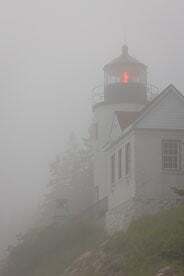 Bass Head Harbor Light in Fog - Vertical #1 - Shortly before sunset, coastal fog surrounds the Bass Harbor Head Light in Acadia National Park in Maine. 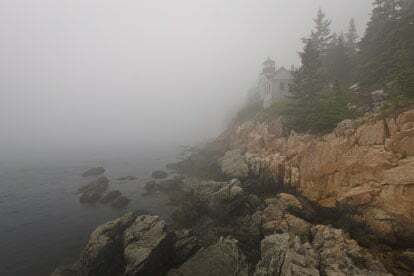 Bass Head Harbor Light in Fog - Shortly before sunset, coastal fog surrounds the Bass Harbor Head Light in Acadia National Park in Maine. 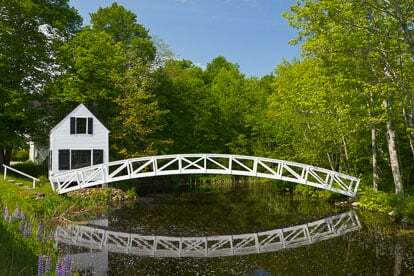 Somesville Bridge in Spring - The brilliant white Somesville Bridge and surrounding spring green trees are relflected in calm water in Somesville, Maine. The Morning Sun on Bass Head Harbor Light - Beautiful blue skies and white clouds compliment the Bass Harbor Head Light in Acadia National Park, Maine. 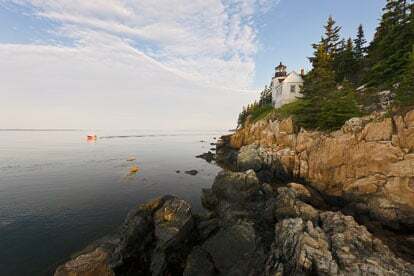 Bass Head Harbor Light and Lobster Boat - A bright red lobster boat cruises by the Bass Harbor Head Light shortly after sunrise in Acadia National Park, Maine. 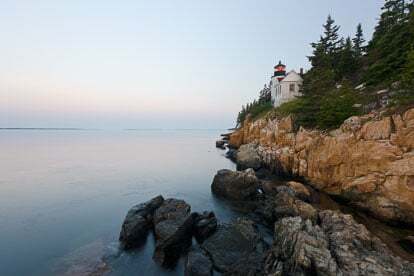 Daybreak at Bass Head Harbor Light - A calm sea reflects the pink skies just before sunrise at Bass Harbor Head Light in Acadia National Park, Maine. 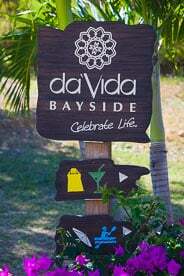 - A sign at Davida Bayside invites guests to join the fun at Crocus Bay in Anguilla, BWI. 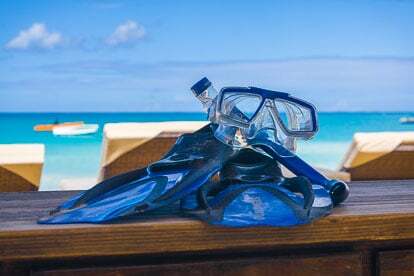 Snorkel Time - Snorkel gear sits on a beach side table with the waters of Crocus Bay inviting in the background in Anguilla, BWI. 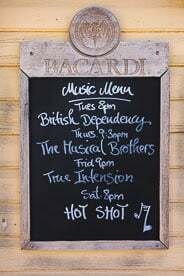 Music Menu - The musical menu is posted outside of the Pump House in Anguilla, BWI. What's for Dinner? 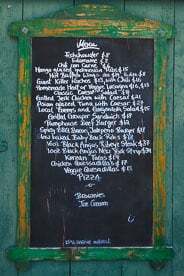 - A weathered menu is posted on the wall at the Pump House in Anguilla, BWI. 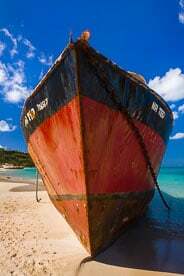 A Ship Called Mr. Ted - A grounded ship named Mr. Ted rests on the beach at Road Bay in Anguilla, BWI. 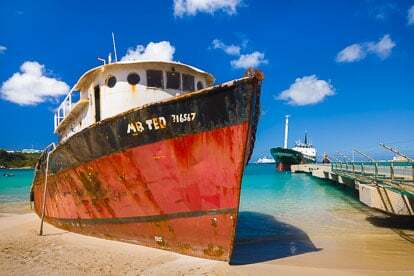 Beached Mr. Ted - A ship named Mr. Ted takes on an ominous view on the beach at Road Bay in Anguilla, BWI. 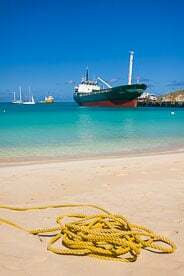 Rope on Road Bay - A rope lays coiled on the beach with a cargo ship in the background at Road Bay in Anguilla, BWI. 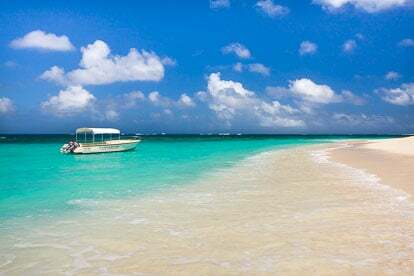 JR's Glass Bottom Boat - A glass bottom boat is anchored on the beach at Shoal Bay in Anguilla, BWI. 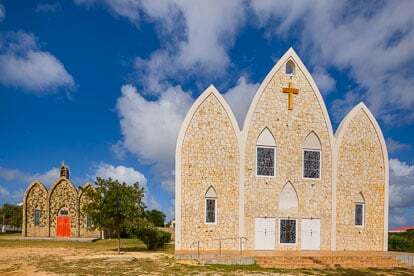 Two Generations - The new large St. Gerard's Catholic Church stands in front of the tiny old church it replaced in Anguilla, BWI. 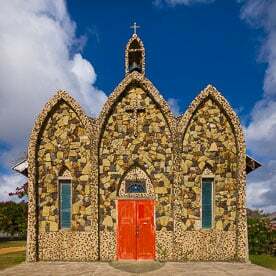 St. Gerard's Catholic Church - The original beautiful ornate St. Gerard's Catholic Church in Anguilla, BWI. 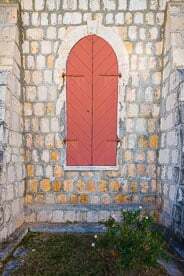 Shuttered Window - A shuttered window on the Bethel Methodist Church in Anguilla, BWI. 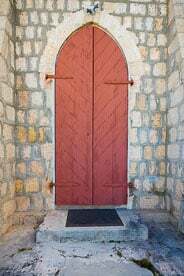 Shuttered Door - A shuttered door on the Bethel Methodist Church in Anguilla, BWI. 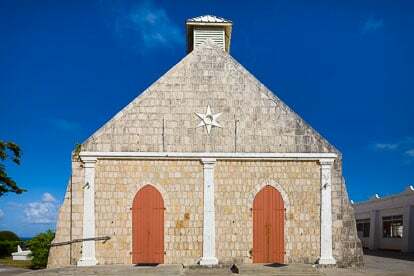 Bethel Methodist Church - The Bethel Methodist Church in Anguilla, BWI. 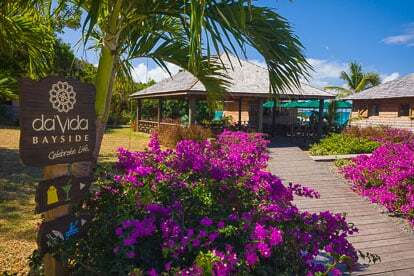 Davida Bayside - Beautiful purple flowers adorn the walkway to Davida Bayside on Crocus Bay in Anguilla, BWI. Oceans of Fun - A group of boys having fun playing in the waters of Crocus Bay in Anguilla, BWI. 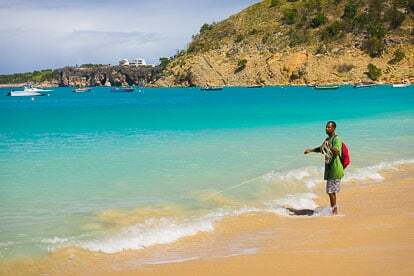 Bait Fishing - A fisherman brings in his fish net from the waters at Crocus Bay in Anguilla, BWI. 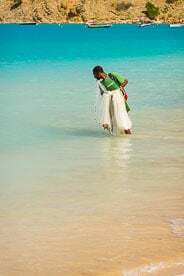 Looking for Fish - A fisherman looks for a target for his fish net at Crocus Bay in Anguilla, BWI. 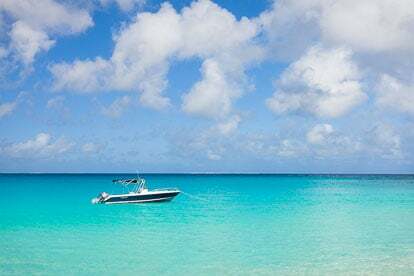 Ocean Opportunity - A speedboat anchored in Mead's Bay in Anguilla, BWI. 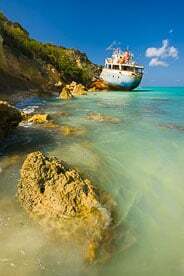 Up on the Rocks - A ship grounded by a past hurricane rests on the rocky shoreline of Road Bay in Anguilla, BWI. 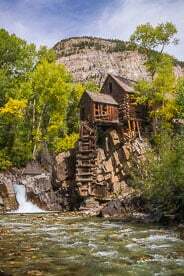 Precarious - The Crystal Mill stands perched on a rock above a waterfall on the Crystal River outside of Marble, Colorado. 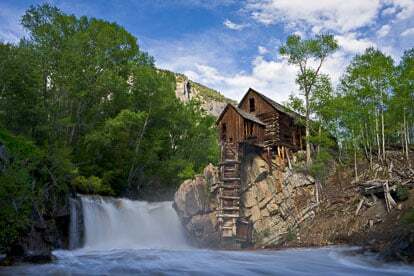 Still Standing - The Crystal Mill still stands along the Crystal River near the town of Crystal in Colorado. 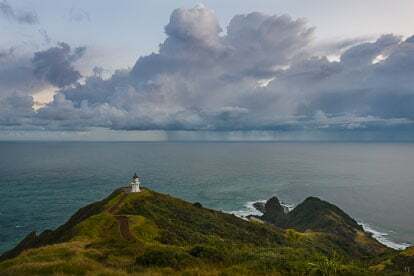 Under Stormy Skies - Cape Reinga Lighthouse stands watch over a stormy seascape at the northernmost point on the North Island of New Zealand. 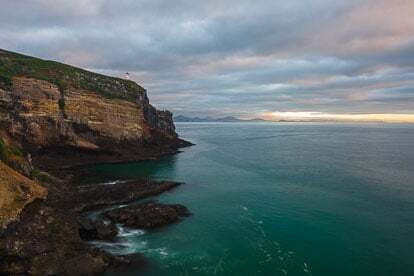 Sunrise Solitude - The rising sun illuminates the clouds behind Castlepoint Lighthouse on the North Island of New Zealand. 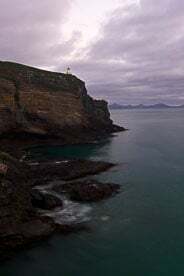 Leaden Skies - Sunlight breaks through and adds a little color to the cloud cover hanging over Taiaroa Head Lighthouse on the South Island of New Zealand. 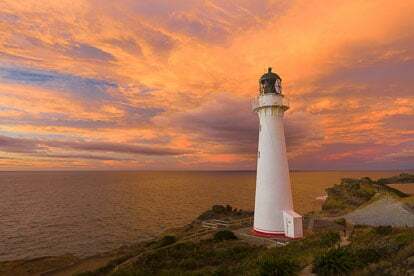 Morning Pink Clouds - Pink clouds over the Taiaroa Head Lighthouse on the South Island of New Zealand. 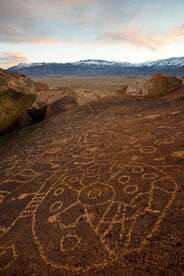 Sky Rock Petroglyphs #1 - Ancient writings face the skies at Sky Rock outside of Bishop, California. 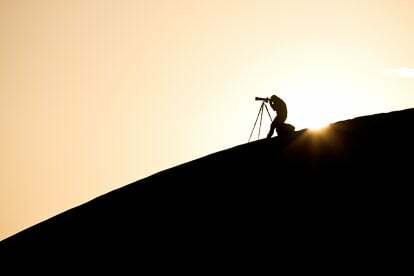 Sunrise Shot - A photographer lines up his shot as the sun rises behind him on the Mesquite Dunes in Death Valley National Park, California. 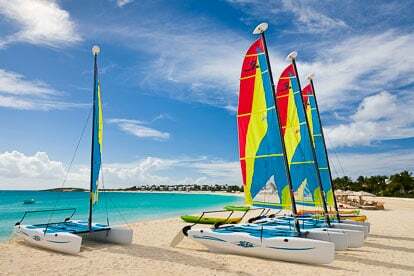 Ready for Play - Brightly colored catamarans lined up on the beach at Cap Juluca in Anguilla, BWI. 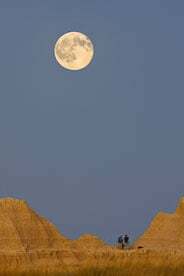 Moonrise at the Badlands - Photographers check their images as the full moon looms above them at Badlands National Park in South Dakota. 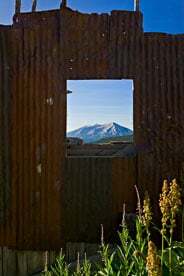 Distant View - Whetstone Mountain is seem through the window of an old mine building outside of Crested Butte, Colorado. 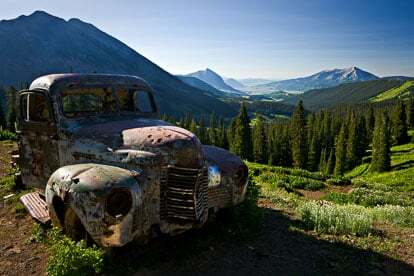 Done My Time - An old pickup truck sits at an old mine at the top of Washington Gulch outside of Crested Butte, Colorado. 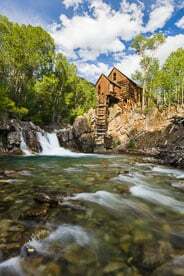 Crystal Mill after Summer Rain - The skies clear after an early summer rain at the Crystal Mill outside of Marble, Colorado. 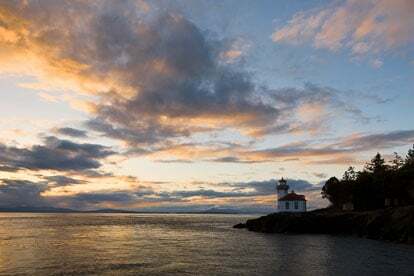 Lime Kiln Lighthouse at Dusk - Horizontal - The Lime Kiln Lighthouse perches at the edge of the sea at the San Juan Islands in Washington. 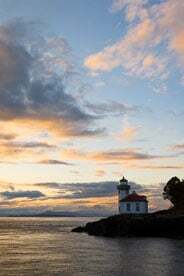 Lime Kiln Lighthouse at Dusk - Vertical - The Lime Kiln Lighthouse perches at the edge of the sea at the San Juan Islands in Washington. 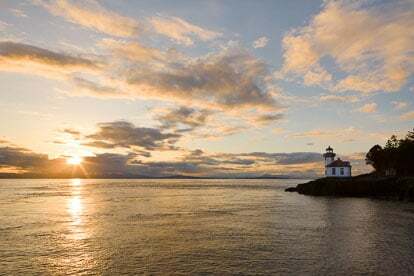 Lime Kiln Lighthouse at Sunset - The Lime Kiln Lighthouse perches at the edge of the sea at the San Juan Islands in Washington. 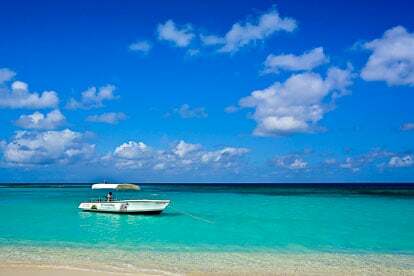 Glass Bottom Boat on Shoal Bay - A glass bottom boat sits ready for the days crowd to arrive at lovely Shoal Bay in Anguilla, BWI. 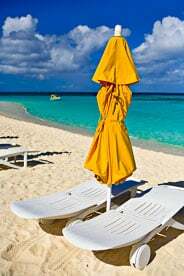 Ready to Relax - Beach chairs and an umbrella await beach goers at Shoal Bay in Anguilla, BWI. 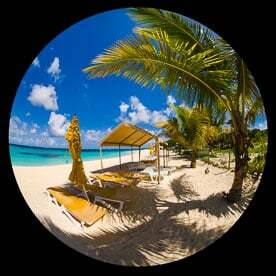 Paradise at Shoal Bay Beach - A bit of paradise at Lower Shoal Bay in Anguilla, BWI. 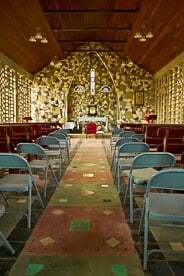 St. Gerard's Interior - The inside of the tiny St. Gerard's Roman Catholic Church in Anguilla, BWI. 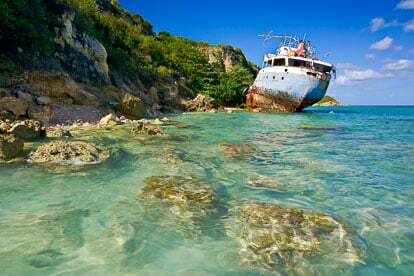 All Washed Up - The rusting hulk of a grounded ship sits along the shore at Road Bay in Anguilla, BWI. 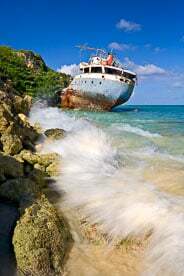 Driven to Shore - Waves crash around the rusting hulk of a grounded ship at Road Bay in Anguilla, BWI. 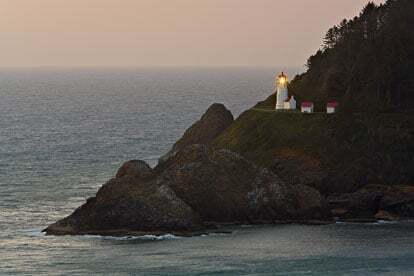 Call to Duty - Dusk arrives at the Heceta Head Lighthouse perched 150 feet above the sea along the Oregon Coast near Florence. 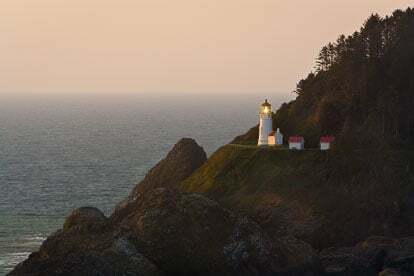 On the Rocks - The Heceta Head Lighthouse sits nestled in the shoreline rocks along the Oregon Coast near Florence. 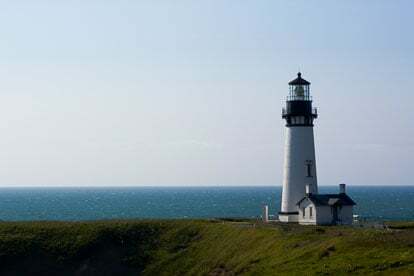 Morning by the Sea - The Yaquina Head Lighthouse basks in the early morning light along the Oregon Coast outside of Newport. 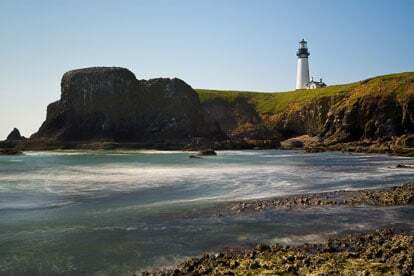 Beyond the Bay - The Yaquina Head Lighthouse looks over a rocky bay along the Oregon Coast outside of Newport. 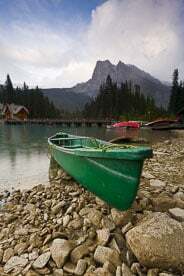 Beached - A canoe rests on the shore of Emerald Lake in Yoho National Park, British Columbia, Canada. 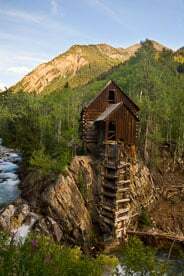 Autumn Comes to the Crystal Mill - The aspen trees begin to turn around the Crystal Mill outside of Marble, Colorado.